It's a fun afternoon at Trinoma and what a great way to start the holiday cheers but by a concert with the music of STING. An icon in the 80's he's proven how good music can take you anywhere, making him one of the most awarded songwriters and singer of all time. 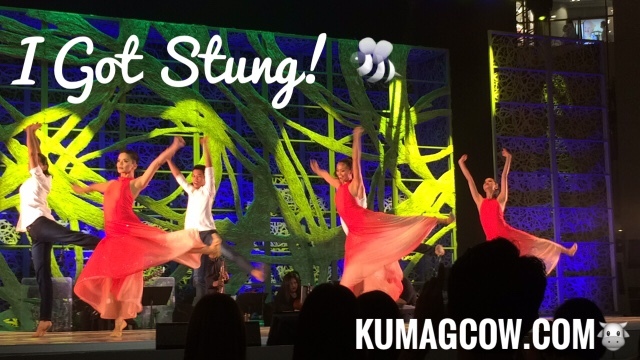 It's entitled "I GOT STUNG" and is composed of two acts, one of which is headed by STEPS DANCE PROJECT the events division of Steps Dance Studio. The company also benefits talented Filipino dancers, make them scholars no matter what economic background they come from. Aside from patrons, we also saw street children in the audience, perhaps the production's way of getting them involved in the arts. The musical director Mon Faustino and his band provided really good renditions of Sting's awesome music. We were hooked from the first song. With world class ballet and jazz dance performers, it was easy, smooth to note that Filipinos can do this in any stage. They also had guest performers from New York Jamal and Aubrey, teaching us a thing or two how it's done in other parts of the world, it was stunning! Towards the end of the show, Sam Milby sang a couple of songs, the one with the dancer from New York was Roxanne, super touching. SOS Children's Village and Pushcart Foundation I think will also be getting proceeds from the show. Truly noble deed starting the season of giving no?! 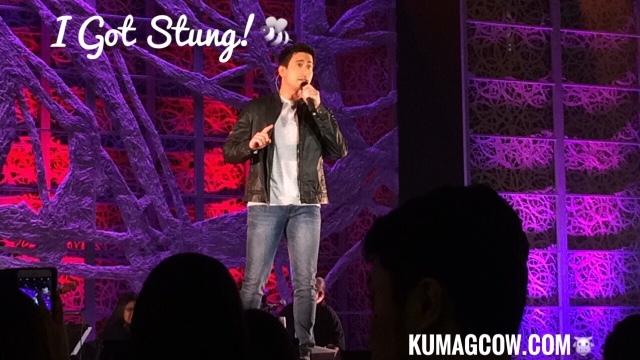 Ahh I could see the ladies already swooning to Sam Milby's songs, he even went out and got personally romantic with them! This is just the start, there are more things to look forward to at Ayala Malls, especially in TriNoMa. You're gonna #LovEmThisChristmas!